Boost your supply | Happy Bubs. Happy Mums. A mother offered me a ‘cookie’ the other day at work. As much as I was tempted to munch it, you should never accept anything from a patient’s bedside in hospital. 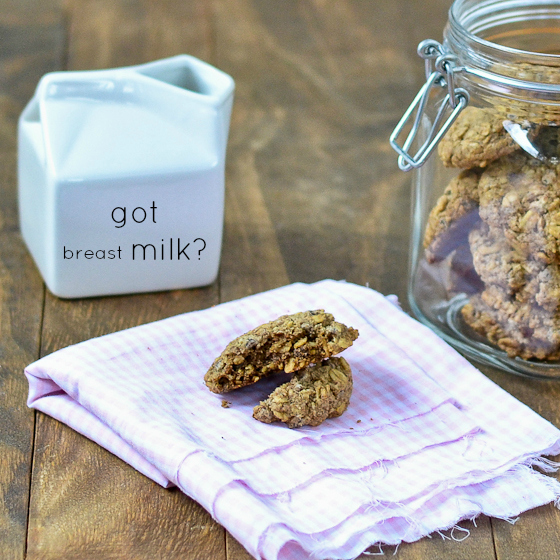 She had failed to mention what type of cookie, to me it looked like a homemade chocolate chip biscuit, but when she started describing to me how her breast milk supply was increasing it clicked…these were not your average cookie, it was a lactation cookie. This mother swore by them, her supply was dwindling, expressing 20-30ml and after having a few it went up to 100ml. I was intrigued, did they really work? Preheat oven to 350ºF and line two cookie sheets with parchment paper. Combine 1/2 cup oats, flax, arrowroot, brewers yeast, cinnamon, baking powder and baking soda in the bowl of a food processor fitted with a steel blade. Process for about 2 minutes, until oats are finally ground. Pour into a mixing bowl and add remaining 1 cup oats and chocolate chips. Stir to combine. Add coconut oil and maple syrup to the food processor (no need to wash it from the previous step) and process until creamy and emulsified, about 3-4 minutes, stopping several times to scrape down the sides of the bowl. Pour over the dry ingredients and stir until fully combine. Using a medium size scoop to scoop the cookie dough onto the sheets. Moisten hands and slightly flatten the mounds of dough. Bake for 10-12 minutes, and allow to cool for about 5 minutes before transferring to a cooling rack. Store in an air-tight container. What are the special ingredients to boost break milk? Oats: They are a good supply of iron and fibre, both of which are important for milk production. And, they are a comfort food – and anything you can do to make your self less stressed and more comfy should help with milk supply. Flax Seeds: They are another great source of fibre, and contain significant amounts of omega-3 fatty acids which are crucial to baby’s brain development. Brewers Yeast: It is a healthy source of vegetarian protein, another key nutrient for milk production. Additionally it is high in B vitamins, which are important for women’s health, especially nursing mums. Coconut Oil: Full of lauric acid, a fatty acid known to boost immunity in both mum and baby. It’s important for nusing mum’s to eat a good amount of fat – so why not make it the right kind!